"Printed in Germany 1976" and "Ullstein Buch Nr. 3222" is stated on the copyright page. The last page of the final item (p. 126) is not numbered. 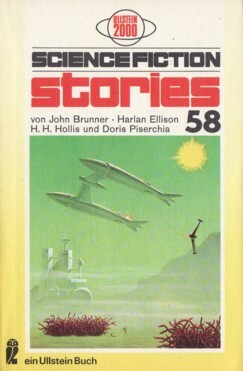 The cover art is credited on the copyright page erroneously to ACE/Roehling (Ace being a publisher, Roehling being only the cover designer); the art is not signed.